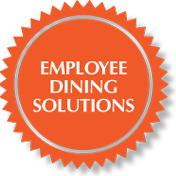 New Horizon Foods offers innovative culinary training services to assist in developing our greatest assets – our employees. They are the life line to our business therefore we want their creativity and professional capabilities to continually grow. Our Innovative Culinary and Management Leadership Training Programs is a palate – pleasing combination of real world skills and hands on experience to enhance our current employee’s talents which is important in the dynamic culinary field. New Horizon Foods Innovative Culinary Training Program is a combination of literature based and hands on skill set training. Sessions include anything from plate presentation and garnishing to bakery and pastries to utilization of herbs and spices to meat tenderizing and meat roasting amongst many more. Our employees are paired up with either our Corporate Chef or with one of our highly talented Chefs that excels in the area of interest. We find this training program to be a highly beneficial opportunity not only for our employees but also for our customers that we service. Everyone wins from our training programs! New Horizon Foods Management Leadership Training Program is also a combination of literature and hands on skill set training. Over the years we have listened to our customers and developed this extensive training program focusing on our “Special Ingredients.” Topics include emphasis on innovation, enhancing customer service, working collaboratively with all disciplines, accountability, efficiency and cost effective measures along with staff and company development. New Horizon Foods values the need for education and ensuring our employees stay abreast of the latest trends in the industry whether it is on the clinical nutrition or foodservice side. We pay for and provide the time for them to attend continuing education programs along with reimbursable professional licensing and membership dues.